The most irritating thing to happen if you use a mobile is while you are out and your mobile is about to run out of charge. And when this happens it is quite rare that you can anywhere plug into a socket to recharge. For such times is this small gadget created. It looks like a pen, but is something more than a pen. However on opening it up, it slips in a AA battery and it becomes a portable mobile phone charging unit which has the ability to charge a mobile phone for up to 100 minutes, and with no mains power required. The One Battery Mobile Pen Charger gives your mobile phone a boost for around 20 hours on standby or two hours talk time, of course this depends on your mobile handset. 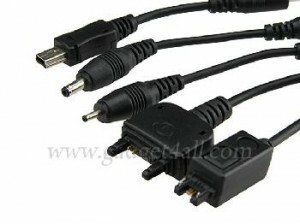 The pen charger is made available with five different adapters to suit various mobile phones like Samsung, Sony Ericsson and Nokia. And after you are done with the charging you can use it as a pen because it actually writes. SponsoredReviews, bloggers earn cash and advertisers build buzz!